Interest in using the peritoneal membrane as a method for eliminating waste from the body began after it was recognized as a semipermeable membrane by Wegner in 1877. Since that time, many have made contributions to the concept of using the peritoneum to filter accumulated wastes. 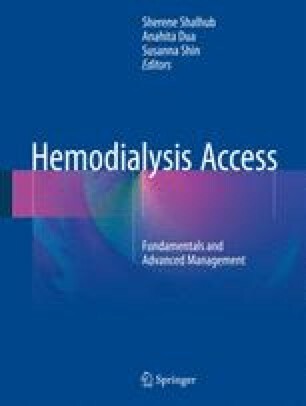 Today, peritoneal dialysis has evolved into its current state as a viable alternative to hemodialysis for patients with end-stage renal disease. This chapter will discuss the surgically relevant aspects of peritoneal dialysis with a focus on current state of peritoneal dialysis, basic pathophysiology of peritoneal filtration, access options, and complications inherent to using this method for dialysis.